Artist Reilly Brown will be with us at Forbidden Planet on August 6th at 6pm to sign copies of his new book Deadpool: Dracula’s Gauntlet. All you Deadpoo fans out there are losing your Deadpoo right now, we know, so make sure to get down here or “insert quippy Deadpool joke about him doing something hyper violent to you if you are not in attendance.” You’re welcome. Oh yeah, and if that wasn’t enough we’re also going to have Khary Randolph here as well. Who doesn’t love Tech Jacket? MOREMOREMORE! We will also have writer Gabe Guarente and artist Dave Fox in the Planet to sign copies of their new graphic novel Satan’s Prep as well. Okay, now you’re welcome. 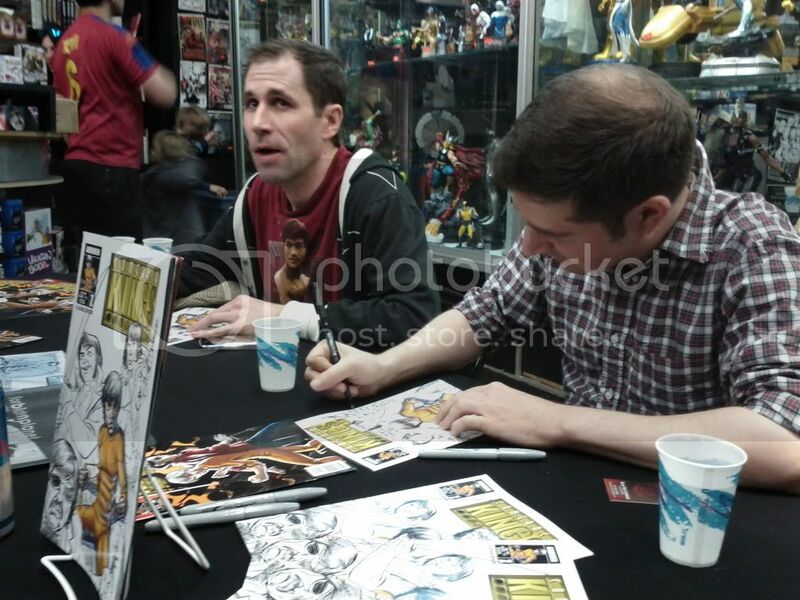 Pics from the Comeback Kings Signing! 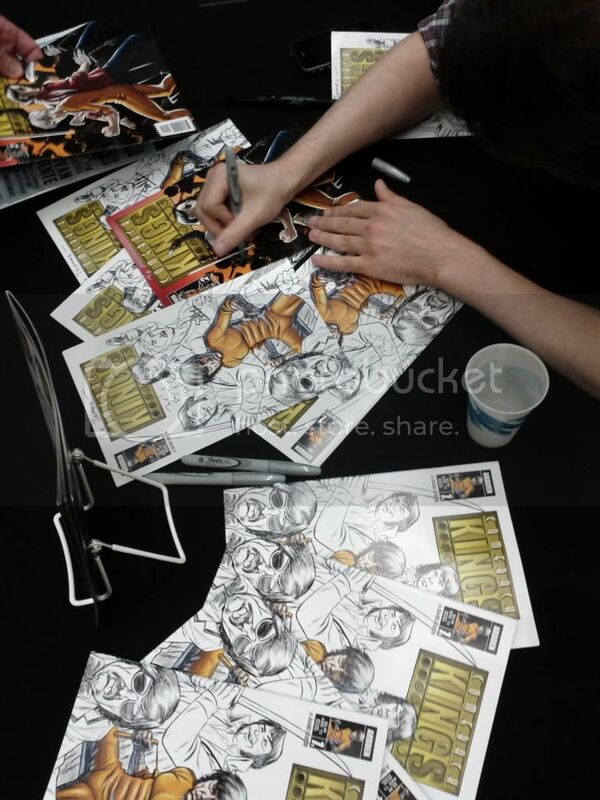 Check out some of the footage and pics from the recent in-store signing of Comeback Kings with the creators Matt Sullivan and Gabe Guarente! This slice of insanity will be coming home with me this Wednesday thanks to the good people over at Ardden Entertainment. Bruce Lee. Jim Morrison. Elvis Presley. Andy Kaufman. Tupac Shakur. All controversial cultural icons who died before their time. Or did they? These legends alive and well, part of Project Resurrection, a global crime-fighting unit that’s a cross between The League Of Extraordinary Gentleman and Celebrity Rehab. They’re the world’s most famous dead superstars – and they’re living super-spies! When a terroristic reality TV supervillain plans to extend his 15 minutes of fame by making a play for infamy via a Hollywood holocaust, the Comeback Kings must put aside their differences and reunite for an encore in order to stop him. The show must go on!